On 23 February 1905, Paul P. Harris, Gustavus Loehr, Silvester Schiele, and Hiram E. Shorey gathered in Loehr’s office in the Unity Building on Dearborn Street in Chicago; so on February 23, 1905.is the date for what would become known as the first Rotary club meeting. Paul Harris’s desire for camaraderie among business associates brought together these four men and eventually led to this wonderful international organisation of service and fellowship. Today Rotary is an International service club with some 1.2 million-member and this organization all started with the vision of one man—Paul P. Harris, it was Paul's dream where professionals with diverse backgrounds could exchange ideas and form meaningful, lifelong friendships. 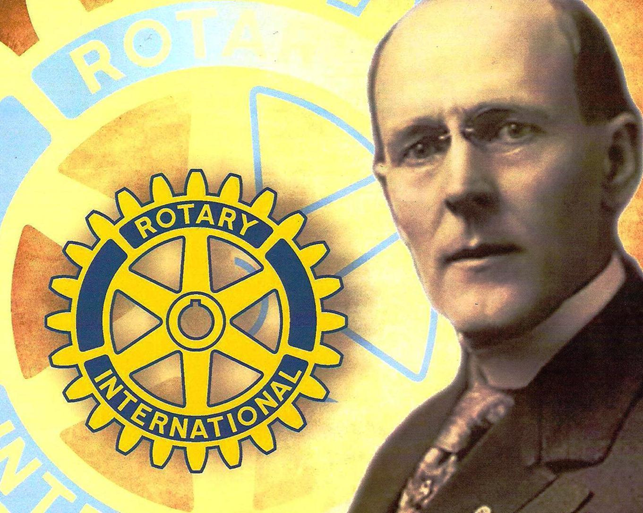 Rotary’s name came from the group’s early practice of rotating meetings among the offices of each member. Next month I would like to share the beginnings of the Rotary Club of Warragul, so until then thank you. My Research for this issue has been assisted by Rotary publications and by other internet research platforms.